Belarus’s state daily has published declassified documents according to which the West was planning a coup in the country after the presidential election on December 19. ­On Friday, “Sovetskaya Belorussiya” (Soviet Belarus), under Lukashenko’s order, started to publish declassified documents referring to the mass riots that took place after the election which scored President Aleksandr Lukashenko a fourth term in office. The article is called “Behind the scenes of a plot. Officially Declassified Evidence of the Events on December 19." The daily accuses Western countries, Germany and Poland in particular, of sponsoring Belarusian opposition and planning a “color revolution” in Belarus which would bring to power a puppet leader. Thousands of protesters took to the streets after the election results were announced and demanded a new ballot, without the long-time leader Lukashenko taking part. The rally was harshly suppressed by police and hundreds, including opposition presidential candidates, were arrested. 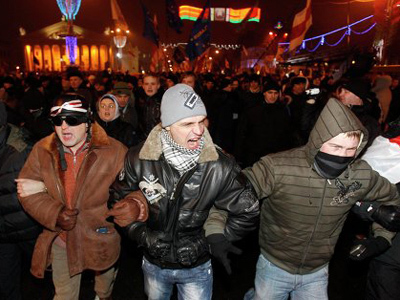 Now, the paper writes, it is claimed that those who came to Minsk’s central square on the night of December 20 had purely peaceful intentions and that everything happened accidentally, no riots were organized. The reason for such keen interest is “obvious” and is not only problems of democracy, but rather Belarus’s geopolitical importance. Instead of military invasions which were a common practice in the past, now the West is using a different strategy – “inciting internal political conflicts that are controlled from outside [the country]”. And examples of such strategy are the so-called “color revolutions” in some former Soviet republics. 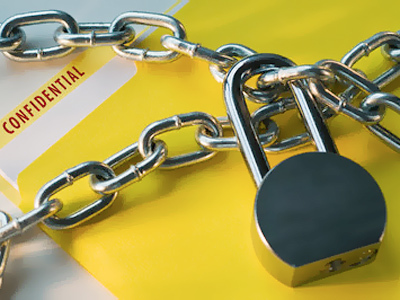 As evidence to support the statements, the paper cites extracts of documents confiscated from the “Tell the Truth” civic campaign, led by former presidential candidate Vladimir Neklyaev. According to these documents, the tasks of the movement’s strategy include supporting a presidential candidate who would ensure the constitutional system of Belarus and form a parliamentary-presidential republic within a year after the vote. (Belarus is presently a presidential republic.) That way the opposition would get a puppet president and Neklyaev was picked as a perfect candidate for that role. From the very beginning “Tell the Truth” was fully controlled by “foreign curators” and was considered a long-term project oriented to further developments on the country and participation in 2012 parliamentary elections. The Belarusian “WikiLeaks” also claims that the West was sponsoring another former presidential candidate, Andrey Sannikov, who has been in jail since December 19. The money was given to him through an opposition-leaning journalist and founder of Charter ’97 website, Oleg Bebenin. The latter was found dead in September last year. The official explanation for his death was a suicide though many doubted it was really the reason. And that is just a fraction of the finance that was granted to Sannikov by different organizations “at the instigation of foreign secret services” in order to carry out information campaigns for alternative candidates. “That is by no means charity, but political call deposits,” the daily states. “Disguised under polite smiles and assurances of correctness, suitcases full of money were being brought to Minsk,” the article says. In addition to sponsoring various structures and campaigns within the Tell the Truth movement, leaders of the organization were invited to many European capitals and Washington. 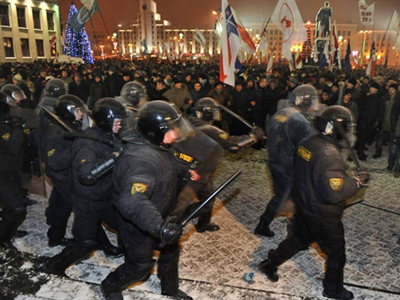 There “Minsk revolutionaries” were given both moral and material support. “Ambassadors of some EU countries” became instructors for those who were to overthrow Lukashenko. It is also said Poland became a polygon for forming the forces that would overthrow Belarusian government. “Training camps” for activists were set in the EU country. Main political decisions were also agreed there with the help of diplomats. The Belarusian KGB is continuing its investigation of the December events. Over the past several days, dozens of offices and homes of journalists and opposition activists have been searched. Four former presidential candidates remain in custody. According to media reports, some of the detainees were given no chance to meet with their lawyers for over two weeks. Not much is known about the condition of their health either. Ex-candidate Nikolay Statkevich – who has been on a hunger strike since the arrest – may need medical attention. Rights activists are especially concerned about Anrdey Sannikov, who was severely beaten by police. The former candidate’s wife, investigative journalist Irina Khalip was detained with her husband and now the fate of their three-year-old child is uncertain. Currently the boy, Danil, is being looked after by his grandmother, but there are fears he could be taken to an orphanage as the KGB attempts to put pressure on his parents. Authorities also started to expel students who took part in the mass rally. 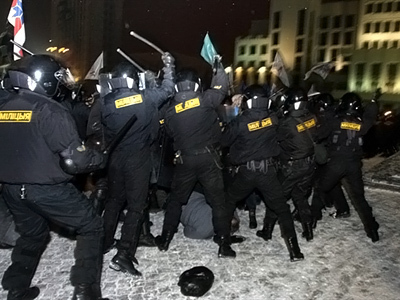 More than 70 per cent of the almost-700 people who were detained during the riots were students and many of them have already been kicked out of universities or will be expelled after winter examinations, according to gazeta.ru. In addition, Belarusian police reportedly collected data on all mobile phone users who took part in the protest and ordered them to report to police and give explanations over their presence at the square where the riots took place. The crackdown is continuing and arrests have also started in Belarusian regions, as Kommersant daily reported. 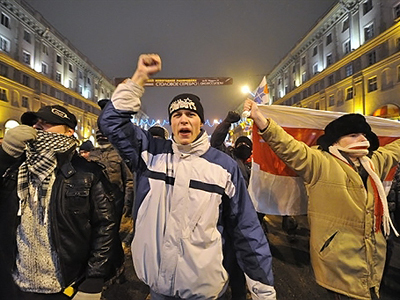 The international community has voiced its concerns over the situation in Belarus. 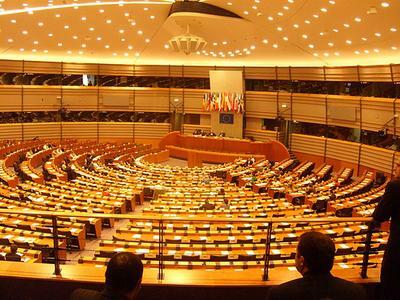 On Wednesday, the European Parliament Foreign Affairs Committee held a special hearing on the matter. Opening the session, President of the European Parliament Jerzy Buzek said that the Lukashenko government “clearly lacks democratic legitimacy." “It is necessary to have a revision of the EU policy towards Minsk,” he said, adding that the MPs should start thinking about the measures to be taken. Russia supports that resolution, Foreign Minister Sergey Lavrov said on Thursday. "As for the processes following the elections in Belarus, we watch the fate of our compatriots. We successfully insisted on the release of most of them. Two of them were arrested again and accused of organizing mass disorders. The staff of the Russian Embassy in Minsk is maintaining permanent contact with us," Lavrov told journalists, cited by Itar-Tass. 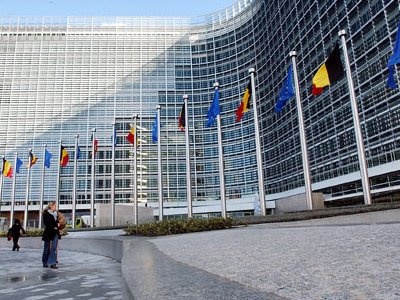 "Yesterday the Council of Europe reached a consensus on Belarus. This also reflects Russia's position."